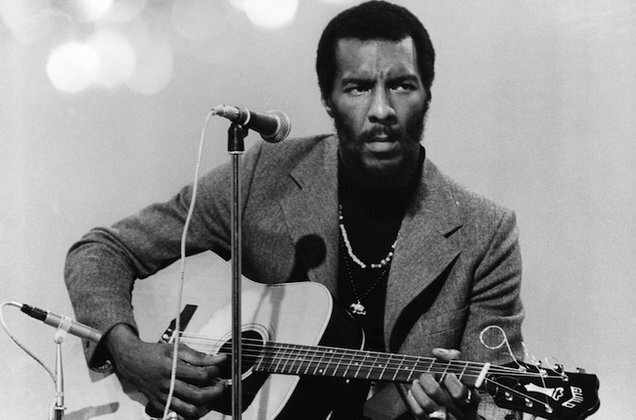 Richard Pierce "Richie" Havens (January 21, 1941 – April 22, 2013) was an American singer-songwriter and guitarist. 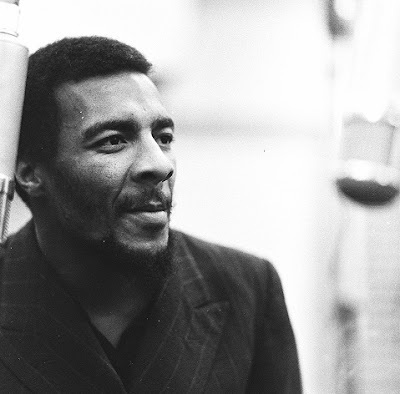 His music encompassed elements of folk, soul, and rhythm and blues. He is best known for his intense and rhythmic guitar style (often in open tunings), soulful covers of pop and folk songs, and his opening performance at the 1969 Woodstock Festival. Born in Brooklyn, New York, the eldest of nine children, Havens formed street corner doo-wop groups with his friends, and sang with the McCrea Gospel Singers at the age of 16. Although he had already visited the artistic hotbed Greenwich Village, to read poetry, he was 20 before he moved there to live, soon learning to play the guitar and performing in the Village's folk venues, where this 6ft 6in tall African American stood out in the largely white clubs. His distinctive guitar playing and soulful, gruff singing style quickly marked him out as a performer to watch, and after a couple of albums on the Douglas label, Havens was signed up by Bob Dylan's manager, Albert Grossman, who secured a record deal with Verve Records. 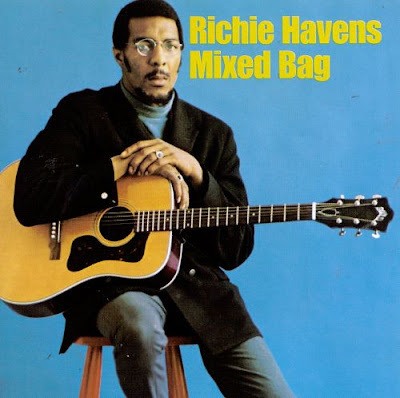 For Havens, there were no boundaries: his albums could equally be filed under folk, soul, blues, pop, jazz and rock, and he was an early adopter of Indianinstruments in raga-rock experiments such as the title-track of his 1968 Something Else Again album. By the following year's double-album Richard P. Havens, 1983, the instrumentation included sitar, tamboura, celeste, harp, flute, steel guitar, clavinet and ondioline. Havens is best known for his opening performance at the historic 1969 Woodstock festival. He had been scheduled to go on fifth, but major traffic snarl-ups delayed many of the performers, so he was put on first and told to perform a lengthy set. He entranced the audience for three hours, being called back time and again for encores. With his repertoire exhausted, he improvised a song based on the spiritual Motherless Child. This became Freedom, his best known song and an anthem for a generation. His inclusion on the subsequent film of the festival – where he can be seen strutting around the stage, pouring every ounce of emotion into the song – further enhanced his reputation. 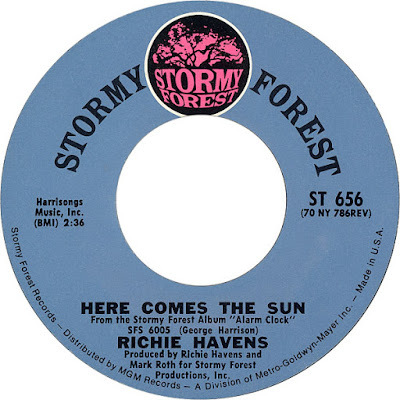 His Woodstock success encouraged Havens to found his own record label, Stormy Forest, and although the first album, Stonehenge (1970), was more subdued than his Woodstock audience expected, his next record, Alarm Clock (1971), indeed became a wake-up call: it was his highest charting album, and a single of George Harrison's Here Comes the Sun made the US top 20. 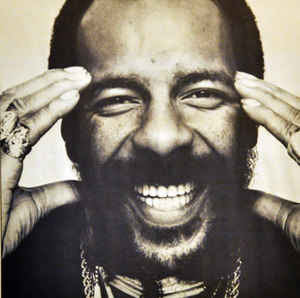 Havens went on to release several more albums through the mid-1970s, although it was his live performances that earned the greatest praise. In the same year as Woodstock, he appeared at the Isle of Wight festival, and the studio audience for his appearance on The Johnny Carson Show in the US was so enthusiastic that Carson invited him back the following evening – only the second time this had ever happened. During the 1970s, Havens diversified into acting. 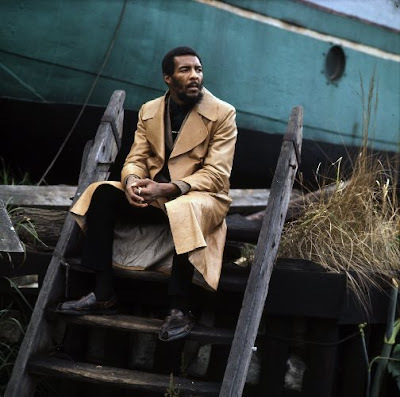 He starred in the original stage performance of the Who's Tommy in 1972 and took the lead role in Catch My Soul, the 1974 film based on Othello. He co-starred with Richard Pryor in the 1977 film Greased Lightning. Into the 1980s, Havens continued to tour and record, although he never improved on his previous chart success. 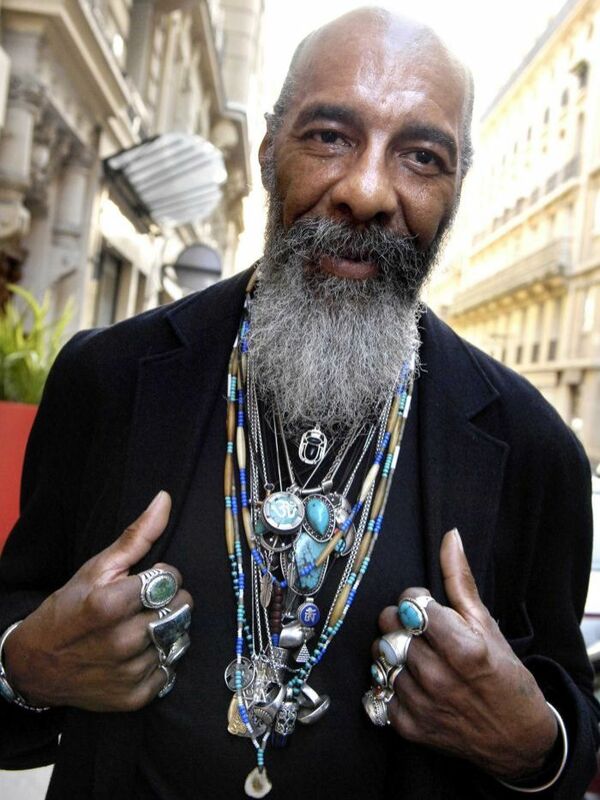 His 1993 retrospective album, Resume: The Best of Richie Havens, did much to remind a new audience of his back catalogue. In the year it was released, he appeared alongside Joni Mitchell, Judy Collins and Arlo Guthrie at the Troubadours of Folk festival in Los Angeles. A capacity audience would not let him leave the stage at the end of his concert. He later described it as a "Greenwich Village class reunion". Havens sang at Bill Clinton's 1993 presidential inauguration and also performed several times for the Dalai Lama. He appeared at the 30th and 40th Woodstock anniversary celebrations and at Dylan's 30th anniversary concert in 1992, where he sang Just Like a Woman. His autobiography, They Can't Hide Us Anymore, was published in 1999; the title refers to his thoughts during his helicopter ride over the Woodstock crowds in 1969. His last album was Nobody Left to Crown (2008).